Four years ago we remodeled our kitchen, which significantly improved the layout but it was PP (pre-pinterest), and I do have a few regrets. Mostly I wish that I had added more color, so I’m setting about doing that these days. 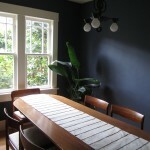 One of the best things about the remodel was that we added a breakfast nook. I love nooks, but I couldn’t have anticipated just how much time we would spend in ours. 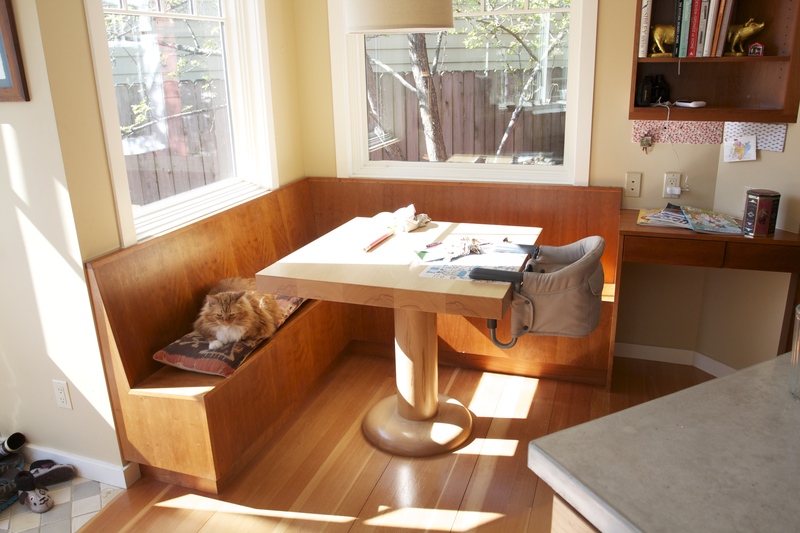 Breakfast nook is really a misnomer; it’s more like the breakfast-snack-lunch-catch-up-on-email-while-Opal-naps-snack-dinner-Chester’s-work-space-after-Opal-goes-to-bed nook. 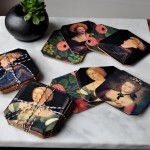 I love the textile mix here, by Amber Lewis. It’s too pink for my house, and I or somebody in my family would surely end up trepanned by that light fixture, but you get the idea. Again, it’s a little too pink, but I love the rug and the bench seat cushion and pillows. 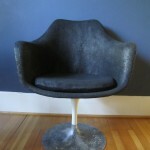 I’ve fully embraced the sheepskin thing, but not on dining chairs. Food and fluffy don’t mix, at least not in my house. See any common denominators? 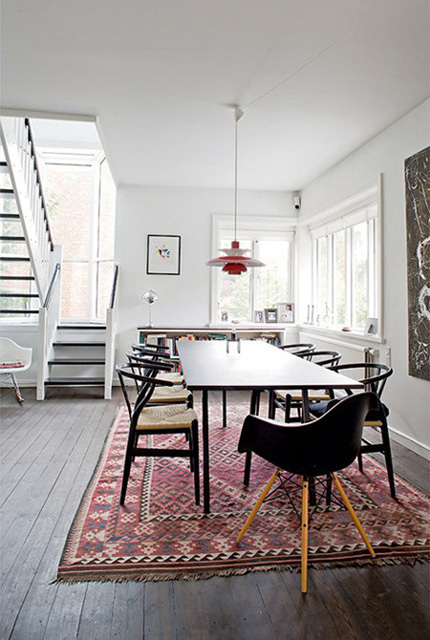 White+wood+kilim is apparently what I’m after. Step 1: Add a rug under the table to break up the brown. 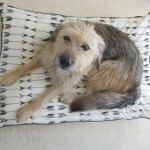 I’ve been scouring ebay for the perfect kilim, and there are a lot of very affordable options out there. The difficulty is that the kitchen/nook/dining/living spaces are all one room, so the color scheme can’t stray too much. Step 2: Paint the walls white. This has been on the agenda for a long time. How do you paint with a toddler around? Stay up all night? The bench and desk area match our kitchen cabinets and the wood is beautiful, but honestly I’d like to paint them white too. Chester doesn’t like the idea, and since he expresses zero opinions about my interior design decisions, I feel like I should defer to him (just this once). Our contractor made the table, and it’s solid and beautiful, and I want to leave it as is (by the way, if you live in the Anchorage area and need a great contractor send me an email. He’s the BEST, and Chester and I both kind of want him to be our life coach. One day during the kitchen remodel Chester said to me, “I wonder what his view is on caffeine.”). Here’s the before again so you don’t have to scroll up to see what I’m talking about. Step 3: Make cushions for the bench seats. Currently only one of the benches has a cushion. 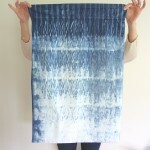 I made that with ikat fabric that Chester brought home from his travels. I love the fabric, but I never finished making the second cushion and now I’m ready for a change. Wolsey spends a lot of time here, and he might be a little upset about a new cushion, but having lived outside for at least two Alaska winters (before he came to live with us) taught him a thing or two about resilience and I think he’ll be okay. I’m debating about printing fabric myself, or maybe using ticking. It has to be durable, washable, and something I don’t care too much about. This pendant is from West Elm, which is a nice fallback. But I worry that this design leaves too much bare bulb exposed, so I’m going to try to cook up my own design and DIY it. So that’s the plan. Whatever the results, I’ll share them with you here, hopefully in the not too distant future! Any thoughts or ideas on my design plan? We always love to hear your suggestions, so please comment away! Mera, this inspires me! A few weeks ago you mentioned that a bench would be fitting for my kitchen table. Now I am sold! 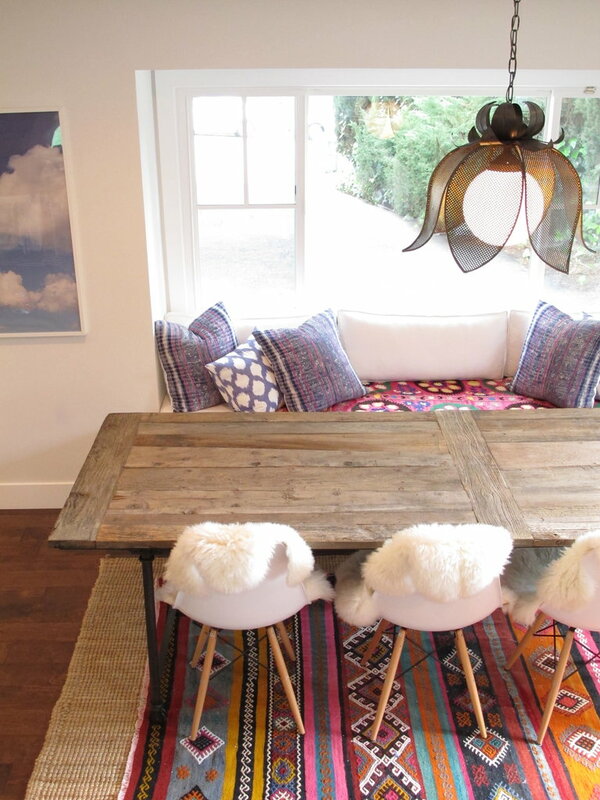 A bench, a new light fixture, a rug and some pillows (minus the DIYs)… Brilliant! Your nook is already such a cozy spot and I love it’s relationship to the action in the kitchen. A little color and it will be perfect! I’ve always wanted a breakfast nook. There’s just something about the name alone that is magic. I might be with Chester when it comes to painting that wood. The rug and cushions will brighten it up, and I’m sure Wolsey won’t complain. I sat on that bench once in the very spot chosen by the cat. He just got right up on my lap and seemed perfectly contented. The trouble is that it’s so hard to get toddler furniture that will match a kilim. Wolsey always welcomes a lap! Thanks Carol! That little nook is beautiful! 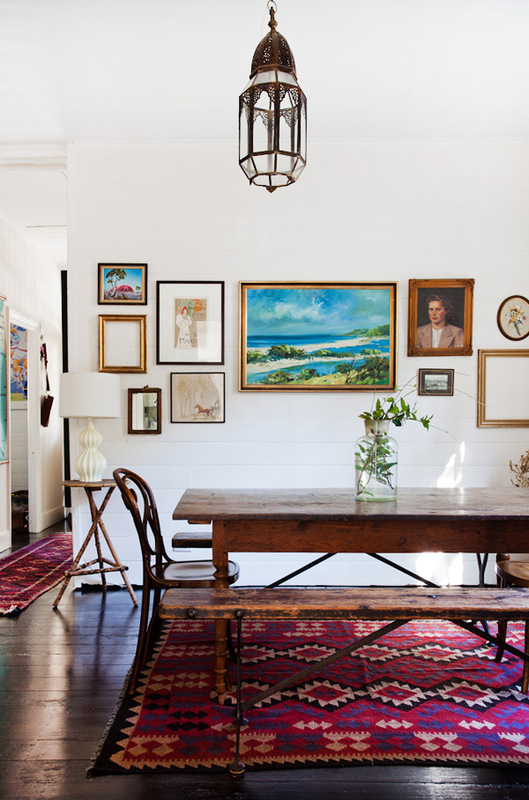 I love the kilim/white/walls/cushions plan. I’m not usually one of those people who freaks out about painting wood, but in this instance I personally would hold off until you’ve done everything else and seen if that isn’t enough to cancel out the feeling of Too Much Wood. I have a hunch that once you get some white and some other textures and colors going on in there it will feel really different. Another thing is since it’s such a high use area, keeping the wood clean will be so much easier than keeping the white paint clean, both aesthetically and in terms of cleaning time (I say as someone who spends a lot of time scrubbing our white painted cabinets). 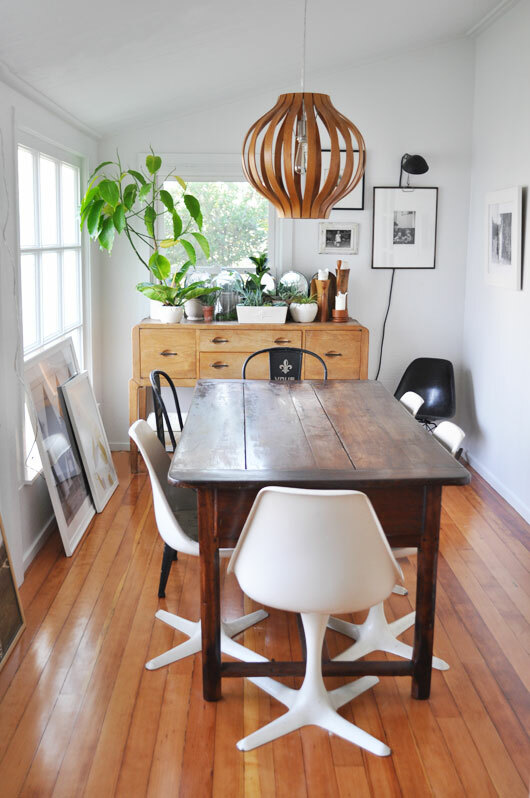 I think swapping out the light fixture is a great idea, and wonder if you’re already feeling overwhelmed by wood then trying to find something metallic in a similar shape for a contrast in textures? Long comment! So excited to see what you do. Hi Mera! I love the light fixture. If you are worried about the bare bulb you could try some vellum inside the shade. That’s a great idea! Have you tried something similar? Thanks, Brandi! Oh this is fun to jump in late and be able to read all the wonderful comments! 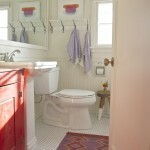 Your redone space will be beautiful and colorful, there is no doubt, love all the inspiration possibilities. I wanted to cheer on Leslie’s response to your bench idea We have a bench in our breakfast nook that was meant to be a garden bench and never got to the garden. So much flexibility in a bench – two people with much space, three to eat, two and small children — all the preceding in addition to big orange cat!